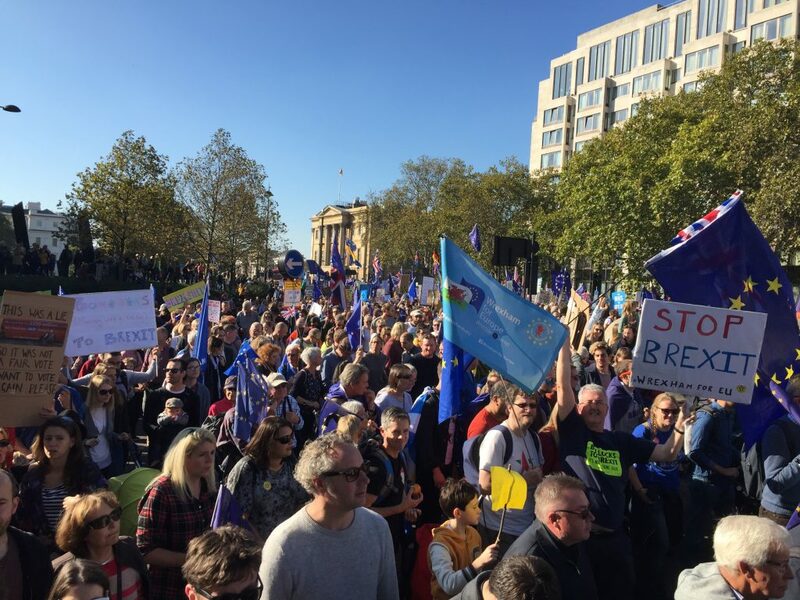 Stop Brexit – Support a People’s Vote! Brexit is the biggest decision the UK has to make since the Second World War. People were promised that leaving the EU would be easy and pain free, with many benefits and little cost. These promises have now proved to be myths or at worse lies. We now know Brexit is probably the most complex constitutional and economic change attempted by any country in modern times. Rather than there only being an upside to Brexit there are many costs to leaving the EU, such as the £40 to £50 billion withdrawal bill to pay for outstanding obligations. Leaving the single market and customs union threatens thousands of jobs because of the potential disruption of supply chains and a reduction in the competitiveness of UK based companies. Now that we have a greater understanding of what Brexit entails it is only right that the people now have a say in whether the deal negotiated by Theresa May’s government is the Brexit they were promised. That’s why we support a People’s Vote on the final deal and we have created template letters to send to your MP and the Prime Minister. Letter for the meaningful vote on the week commencing 14th January – MPs template letter for meaningful vote. Please use these templates to put pressure on the Prime Minister and your MP to halt the Brexit process and offer a People’s Vote on the deal. Wrexham for Europe are a pro-European group campaigning for a People’s Vote on the final Brexit deal. You can follow them on Twitter @wrexhamforeu or join their Facebook group Wrexham for Europe. Please email us at wrexham@walesforeurope.org.